Whether you're looking for a new vehicle or just looking to understand the financing process, we're ready to help. Start by exploring the basics of vehicle financing or take a credit test run. The Thor Motors Orillia Ltd Finance team wants to help make buying your vehicle as easy as possible. Our professional, friendly staff members will help you find the best rates and are always available to answer any questions you might have. At Thor Motors we're committed to providing you with an exceptional customer experience. 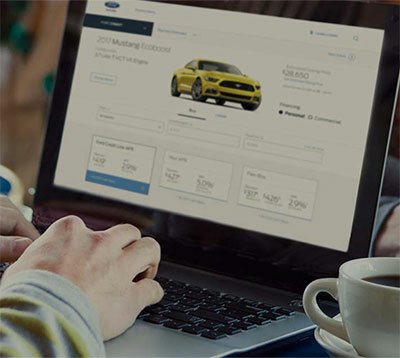 Don't panic, even if you have no previous vehicle buying experience, our First-Time Buyer Program can give you the opportunity to enjoy a new Ford vehicle of your own. Buying a car is one of the most important financial decisions you'll ever make. That decision gets even bigger when you've never done it before. But here's the good news: we've put everything you need right here. You'll find answers to all your questions, as well as helpful tips to make your vehicle purchase a smooth experience. Our goal is to get you into the vehicle - and finance or lease option - that's right for you.